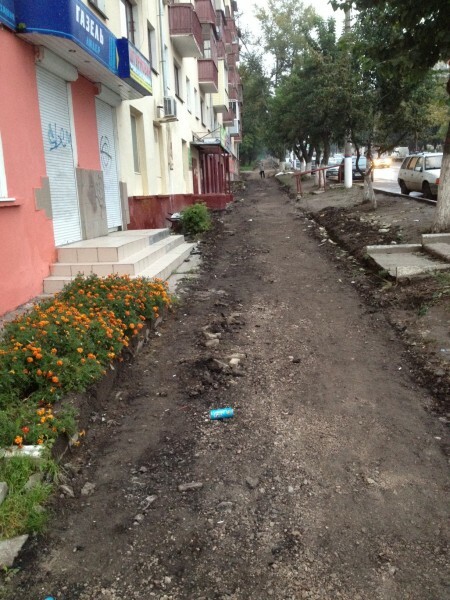 The beginning of Fall in Tula was marked by rain, cold and … massive repairs of sidewalks. The city was changing old asphalt for new sidewalk tiles and doing it swiftly and with a lot of determination. Numerous crews worked on various streets removing the old pavement completely, literally to the ground. The city’s view expressed by various officials in the press was that putting new tile would improve comfort and safety (in rain and snow) of walking and even refine the city aesthetically. An excellent idea, indeed, it would probably be even better if done gradually. 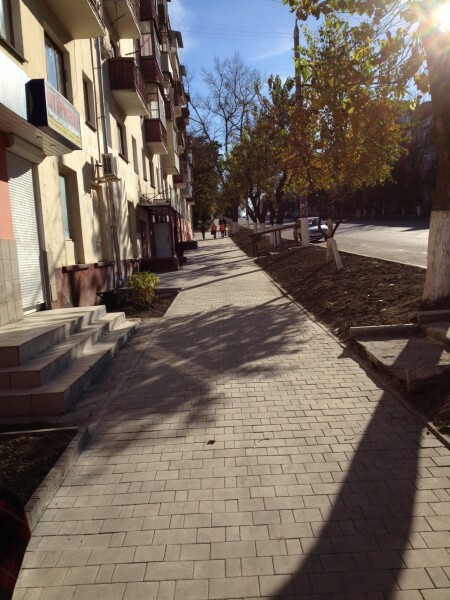 But in the center of the city the pavement has been removed on both sides of streets simultaneously making the process of walking if not impossible than certainly not comfortable for several weeks. Hearing some people (especially women who wear high hills everyday) complain about impassible sidewalks made me side with the city’s administration. I mean, we want comfort and safety but we can’t change our preferences in shoes for several weeks! One can wear rubber boots, or better not walk altogether but drive, or, alternatively, use the road part of the street for walking (exactly what some were doing!) But seriously, I think the city has done a good job and crews, working on both sides of the street, were able to finish their work earlier. I have to admit, that this realization comes after the completion of the work, though. Here is a street with asphalt removed. Same street, now with new tiles. Tiled sidewalks do look much better now. They do improve appearance of streets. What is more important, they now have ramps. Some of new pavements still have some minor defects but those could be, and hopefully will be, quickly eliminated. Especially, since the tiles are produced at the Braer factory, a building materials manufacturer that has been opened in Tula region recently. Gone with the asphalt were various dissimilar kiosks that used to sell cigarettes, soda, bread and other small goods, and old bus stops. 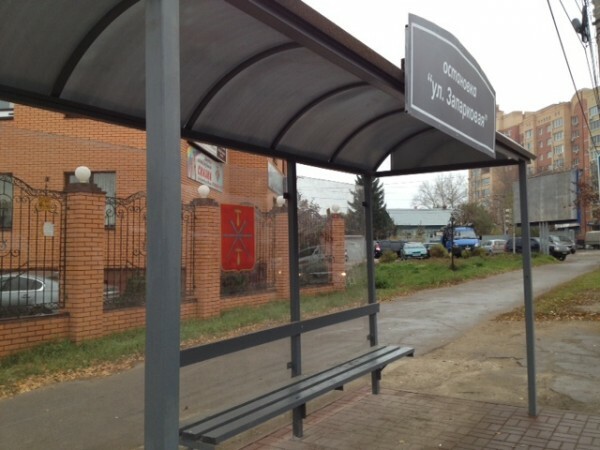 In their place – new bus stops. Transparent and adorned with Tula's coat of arms decals. This entry was tagged bus stop, sidewalks, tiles. Bookmark the permalink.